Russia's track and field athletes will find out on Thursday if they will be free to compete at next month's Olympic Games in Rio. Athletics' world governing body has banned Russia's athletics federation over claims of state-sponsored doping. But the Russian Olympic Committee and 68 athletes, including two-time Olympic pole vault champion Yelena Isinbayeva, have taken their case to the Court of Arbitration for Sport (Cas). The Olympics Games start on 5 August. Russia was suspended from global track and field events by the International Association of Athletics Federations (IAAF) in November 2015. That followed the publication of an independent World Anti-Doping Agency (Wada) report that showed a culture of widespread, state-sponsored doping, with even the secret services involved. The country's sports minister, Vitaly Mutko, has since apologised for the fact cheating athletes were not caught by Russia's anti-doping systems but stopped short of admitting the scandal had been state-sponsored. 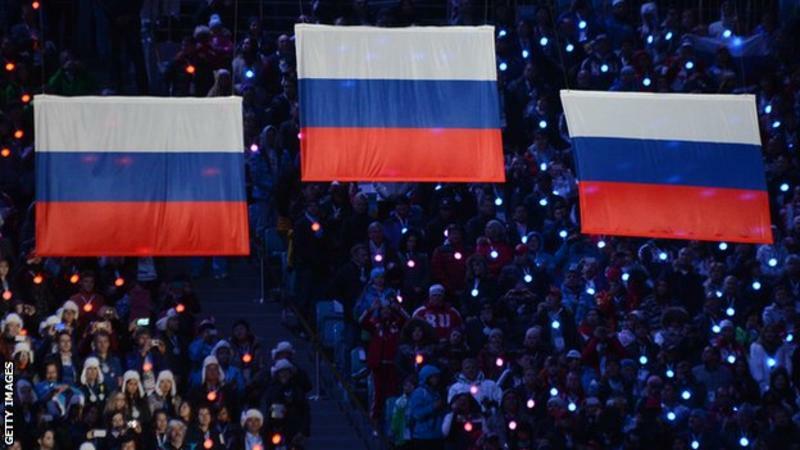 Should Russia's athletics federation remain banned, the IAAF has said a handful of the country's athletes could compete in Rio as "neutrals" if they meet a number of criteria, including being repeatedly tested outside their homeland. However, there have been calls for the country to be given a total ban from the Olympics and Paralympics following the publication of the McLaren report. That found evidence Russia operated a state-sponsored doping programme for four years across the "vast majority" of summer and winter Olympic sports. The International Olympic Committee (IOC) said it would wait for Thursday's judgement from Cas before announcing any sanctions. IOC president Thomas Bach said the findings of the McLaren report were an "unprecedented attack on the integrity of sport and on the Olympic Games".